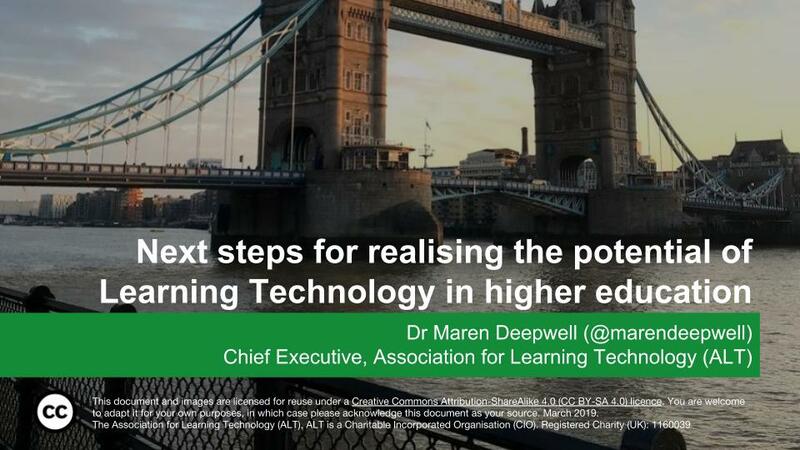 This week I spoke at a keynote seminar on realising the potential of technology in Higher Education and it was a valuable opportunity to share the work of ALT and its Membership. 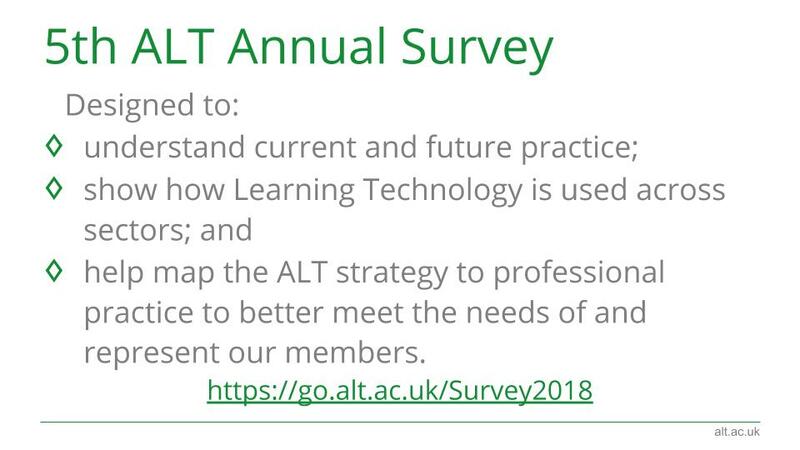 Whilst ALT is growing and the number of Members has more than tripled over the past 10 years, I always include some key points at the start, including our definition of Learning Technology and Learning Technologist and our shared values that inform ALT’s strategic aims. 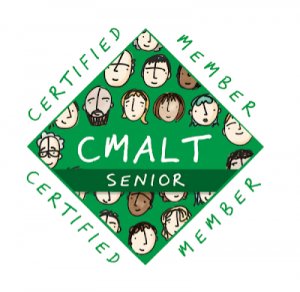 It’s useful for anyone who hasn’t heard about us before, but it also helps situate the perspective I speak from: representing 3,500 individuals and organisations from across sectors and a broad range of professional and learning contexts. It’s key to convey that there is a huge spectrum of practice, research and policy making in Learning Technology when it comes to infrastructure and adopting new technologies and also when it comes to pedagogy, practice and research. This may seem like an obvious point to make, but I find that many discussions about ‘the future’ or policies for technology in education often make the assumption that those involved are all in the same boat or starting from a blank slate, when in reality the fast pace of innovation leaves behind a messy trail of upgrades, legacy systems, gaps and transitions that make interoperability standards such a key issue. Drawing on the results from the survey ( https://go.alt.ac.uk/Survey2018 ) I first looked at the dual emphasis on learner engagement (which was been identified as the key driver for the use of Learning Technology over the past five years) and the crucial role of staff supporting each other (time, knowledge sharing, support, cpd) as the other main enabler. More professional roles in education now have a Learning Technology component, including more senior and leadership roles, so it is not surprising that staff time, development and recognition continues to grow as a critical factor. 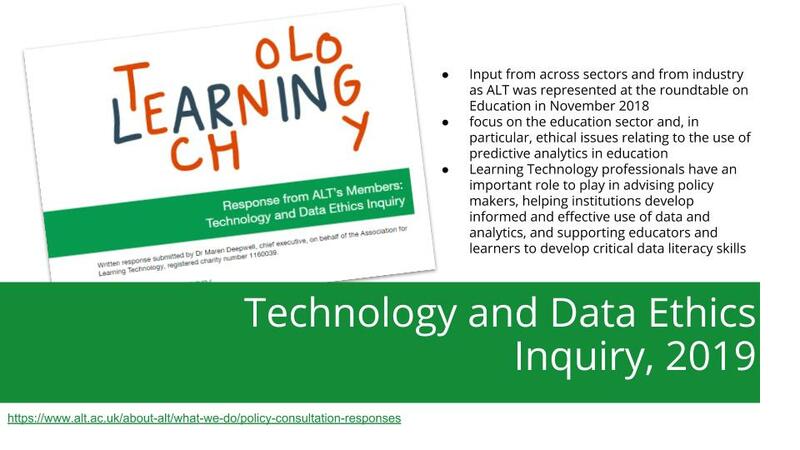 One example I shared is ALT’s input for the inquiry into Technology and Data Ethics, which highlighted that Learning Technology professionals have an important role to play in advising policy makers, helping institutions develop informed and effective use of data and analytics, and supporting educators and learners to develop critical data literacy skills. In the second part of my talk, I focused on ‘Working with industry: Tackling the challenges of scaling up use of Learning Technology’ and shared some recent work of how ALT has facilitated Members from across sectors including industry working together and sharing knowledge to tackle some of the most challenging issues identified as important areas of change in the Annual Survey. 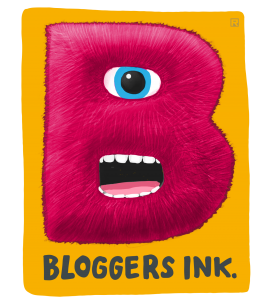 Those include for example accessibility, relating to the new legislation on accessibility for VLEs, a community-sourced guide for Learning Technologists working with edtech start ups and in relation to tools for lecture capture and learning analytics in particular, compliance with GDPR. 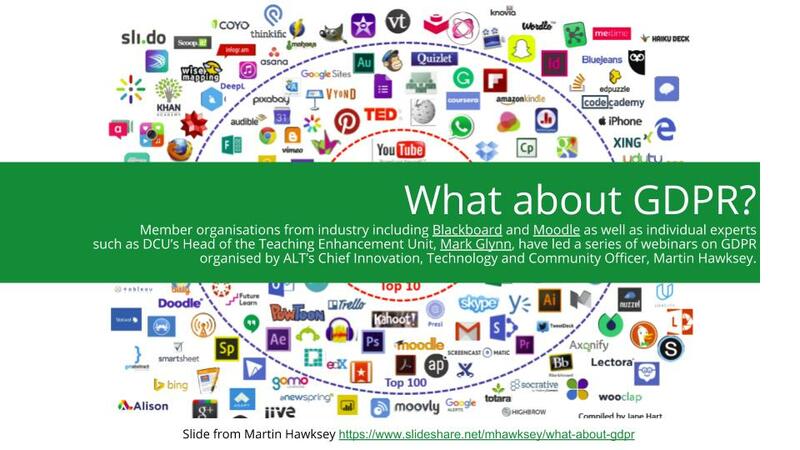 One of the strengths of an independent professional body like ALT is that we can act as a central exchange for information from different vendors, providers and users, creating an opportunity for institutions to collaborate on joint priorities and then providing a consistent reference point for the resources that are created for all to refer back to. In the last part of my talk I focused on professionalisation in Learning Technology and the crucial role of staff. 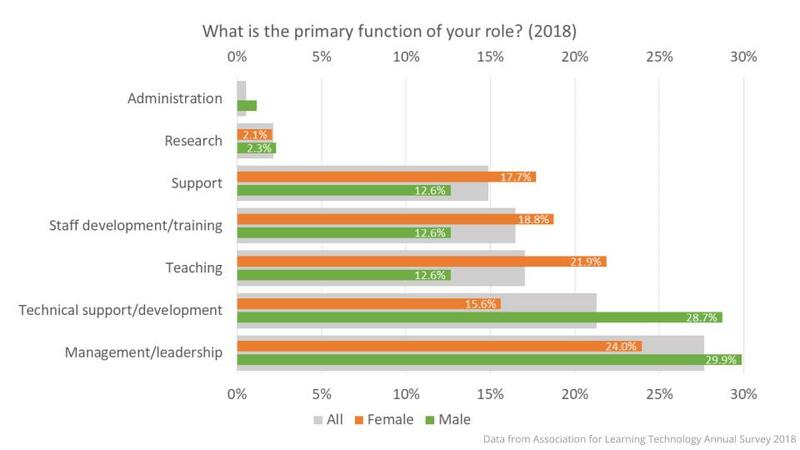 Referencing the 2018 Horizon Report, which identified the future role of educators as a ‘wicked’ challenge (“complex to even define, much less address”) I shared insights from the trends in role development from the Annual Survey, this time adding a separate analysis by gender. This new analysis forms an important part of ALT’s effort to close the gender data gap in Learning Technology. We recognise promoting equality as a priority for a professional body not a minority interest. This post provides only a brief summary, but you can access the full slide deck with links to all references https://go.alt.ac.uk/2FFvk33 .